Exceptional, personalized In-Home Care with professional, well-trained providers. 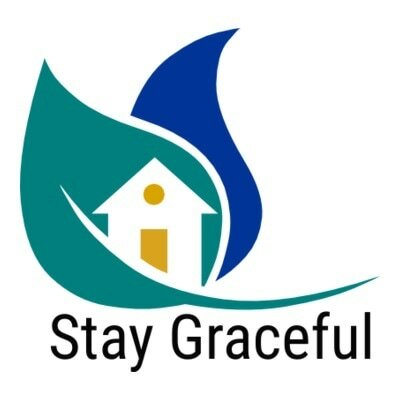 At Stay Graceful, we strive to provide you with the best personalized care for your situation. Whether you need assistance for a month while you're recuperating from surgery or you'd like assistance cooking and calling friends and family or if you need more companionship and help with personal grooming, we have care packages that will fit your needs. Personal Care is non-medical care that is provided to assist you in performing your activities of daily living such as bathing, grooming, eating and assistance with mobility. such as housekeeping, laundry, cooking, and shopping for groceries. Family & Caregiver Support is important to maintaining a stable home living environment for your loved while providing you the respite you need as a family support. We will help you determine the best care plan for you! Our rates are all-inclusive with no other additional fees or taxes. Pre-payment discounts are also available. ​​During our free consultation, a Stay Graceful team member will review your living and daily needs, complete an assessment with you to identify any other areas where we could offer care or assistance such as home readiness, and then we review our care packages to help select the personalized services for you or your loved one. Making the decision to have in-home care can feel challenging as you weigh your options and try to determine how to best meet your needs and afford the care that will allow you to Stay Graceful. We want to help you make that decision as worry-free as possible.